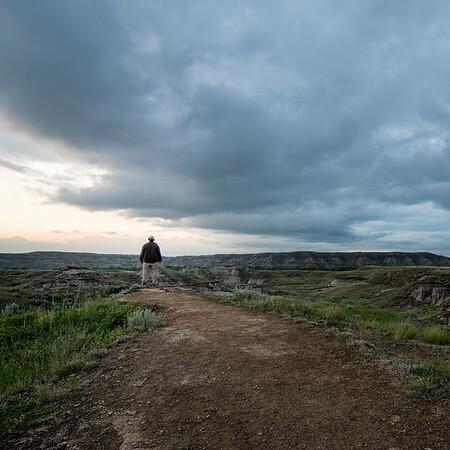 This is me checking out the crazy rock formations at Dinosaur Provincial Park in the Alberta Badlands last summer. 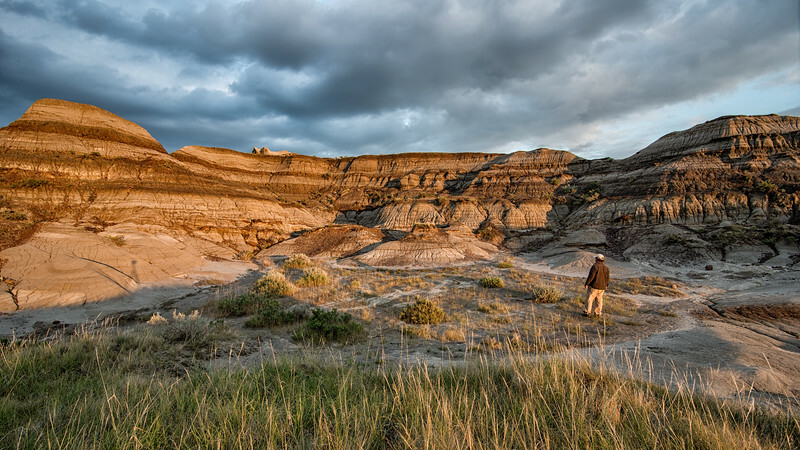 This photo was taken at Dinosaur Provincial park in Alberta, Canada. I took it on a beautiful warm evening, it was about 28 degrees as the sun went down. The reason I am wearing a long sleeve jacket and long pants is because of the bugs, there were swarms of gnats and misquotes that would bite any piece of exposed skin if I stood any one place for too long. So, I didn't stand there for long but the park is amazingly beautiful despite the bugs. 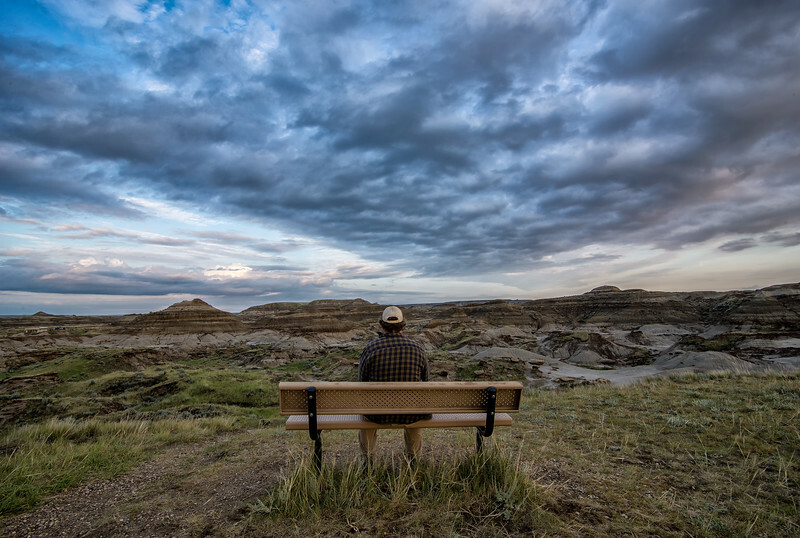 Checking out the view in Dinosaur provincial park in Alberta. 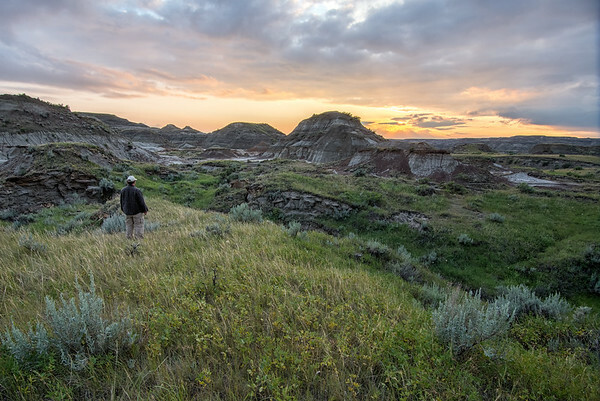 Checking out the badlands in Dinosaur provincial park.